Regular Membership: $60.00 Includes an annual electronic subscription to the Scribe available at IDCTA.org, one vote in annual elections, discounted participation in select IDCTA sponsored activities and a USDF Group membership*. Young Rider Membership: $45.00 For those members who will not have reached their 22nd birthday before January 1, 2019. Same benefits as regular members, with the exception of voting privileges. Junior Rider Membership: $35.00 For those members who will not have reached their 17th birthday before January 1, 2019. Same benefits as regular members, with the exception of voting privileges. 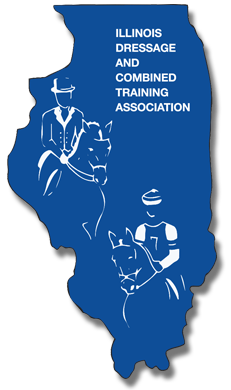 Business Membership: $160.00 Entitles a business to ONE IDCTA Regular, Junior Rider or Young Rider membership. $60 of advertising in the Scribe, a link to your website from IDCTA’s website and an entry into the Business Directory with your logo and a summary of your business offerings. You can also advertise your events on the IDCTA website calendar, and request E-Blasts be sent out to the IDCTA email list. Once you have signed up as a business, your application will be sent to the web administrator and you will be sent a questionnaire to build your directory page. This is a great way to advertise your business.